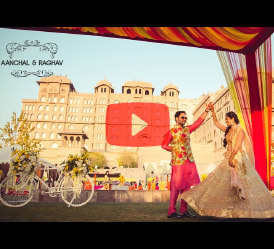 Take Me Home is WeddingNama’s joyful ode to the union of a beautiful, decorous couple at their incredible destination wedding at The Leela Palace, Udaipur. 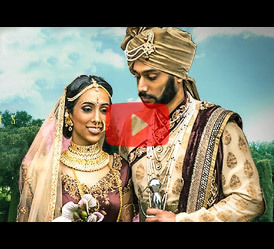 In a film of not more than seven minutes, you’re elated one moment, moved the next, as Riddihma and Neil’s traditional celebration brings friends and family from around the world to the screen as they participate in the joining of the Mehta and Gandhi families at one of the most beautiful hotels in the Lake City. Chance played its part when the couple met in Palo Alto, California. Riddhima’s neighbour invited her to join some friends at a local bar. Neil, having had to cancel a weekend ski trip, happened to end up at the same bar that night. As the evening progressed, he made a concerted effort to not lose his place by Ms Gandhi’s side as he continued with her group from one venue to the next. Five years later, he’s ensured his place beside her forever. 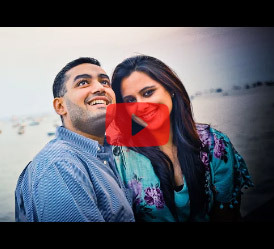 Riddhima laughingly admits she’d told her father many years ago that it here she wanted to get married – at the Leela Palace, in Udaipur, on the banks of sparkling Lake Pichola with its breathtaking view of the Aravali Mountains. 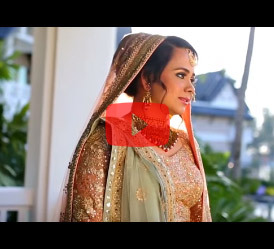 WeddingNama captured every breathtaking moment of this delightful, smiling, young couple’s celebrations as well as a sneak peak into their sweet love story.